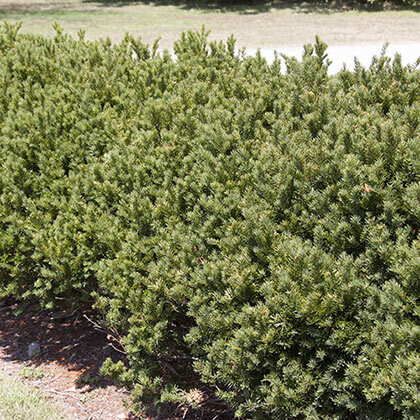 Brown's Yew is an attractive, evergreen shrub—and it's now available in a gallon pot and shipping now. 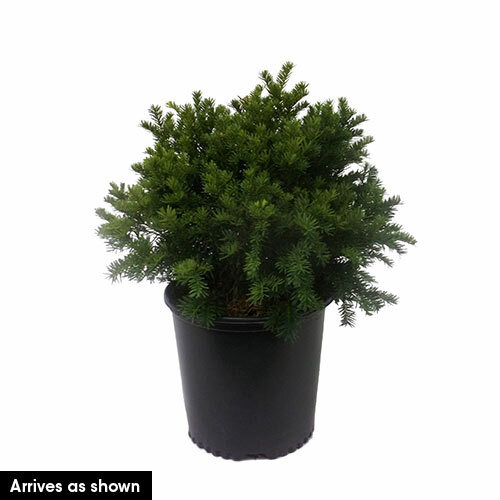 Growing 8-10 ft. tall with a 6-12 ft. spread, this non-flowering shrub has soft, dark green foliage. Drought tolerant and easy to grow, it adds color and texture to the landscape. Grows best in full sun to partial shade. Potted. Zones 4-7. Soil RequirementsWell-drained, moist, acidic soil. PruningPrune early in summer to maintain the desired shape, if necessary. CommentsThis compact, upright evergreen provides color in every season, texture, and landscape contrast. Excellent for a foundation planting and hedge.